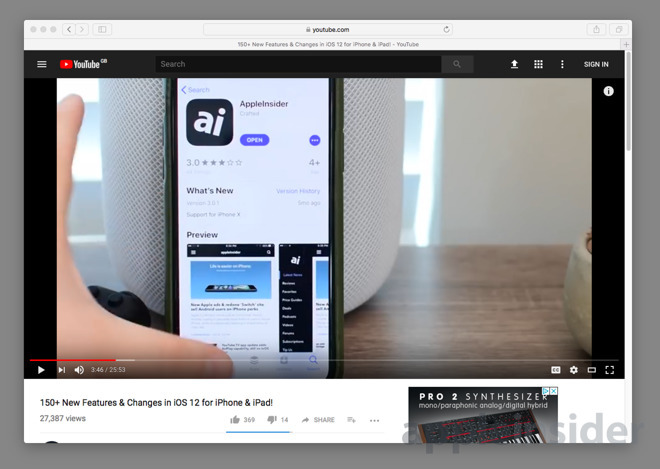 If you want to watch YouTube videos while performing other tasks on the Mac, one way is to take advantage of Safari's Picture-in-Picture function. 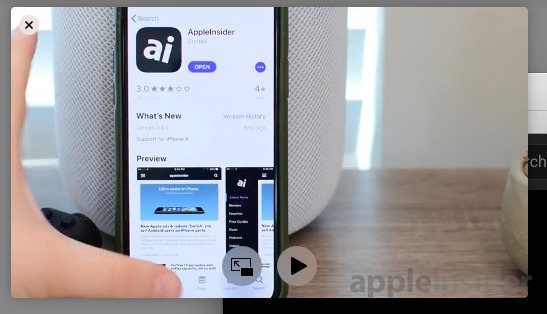 AppleInsider shows how to access and use the hidden-from-view feature with Google's video service. 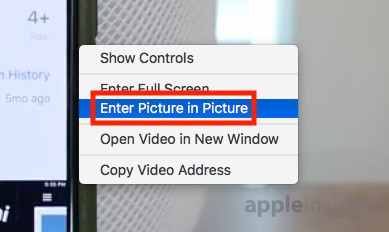 Introduced in macOS Sierra, Picture-in-Picture mode for Safari allows users to pop a video out from a webpage and onto the Mac desktop. The floating and resizable window hovers above other applications, keeping it in view while other applications are kept usable in the background. While it is easily available in apps, including iTunes, as well as some websites, it is oddly not immediately accessible when viewing YouTube, arguably one of the biggest video services online. 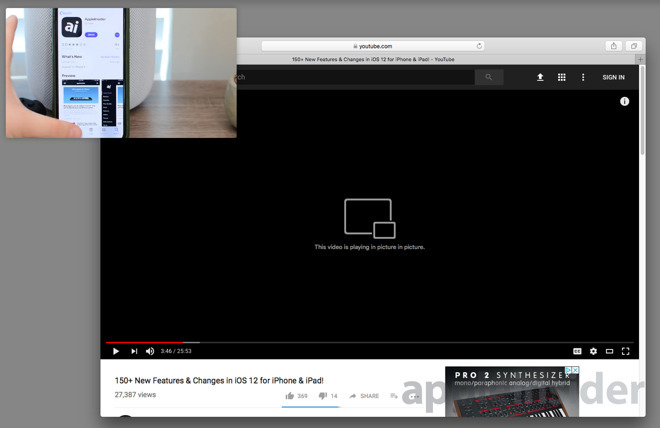 YouTube does support Picture-in-Picture for Safari, but there's a trick to actually using it. Open Safari. 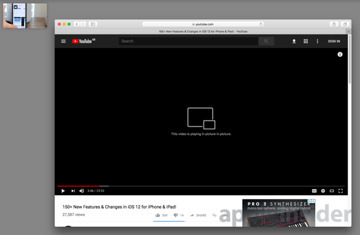 It is not currently possible to use the Picture-in-Picture feature with other browsers, not even Google Chrome considering this tip deals with YouTube. Open a YouTube video that you wish to view. At this point it can be paused or left to continue playing. Right-click on the middle of the video. 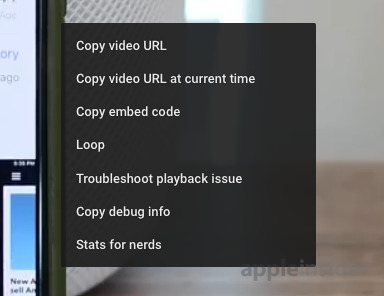 This brings up YouTube's contextual menu which, while interesting, should not be used for the moment. Immediately right-click the middle of the video again. This second right-click brings up a Safari menu, which includes the option we need. Click Enter Picture in Picture. 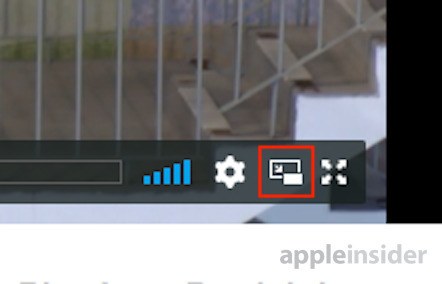 This will move the video from the browser out into its own floating panel. The video panel can be moved around the screen by clicking and dragging it to a different corner. If you hold the Command key down, you can drag it to a specific point of your screen instead of a corner. The size of the panel can be adjusted by dragging the edges or the corner to make it larger or smaller. At most, the panel can be resized to take up a quarter of the screen. The playback controls on the website will still work as normal, but there are also basic controls on the video panel itself, shown by mousing over the picture. 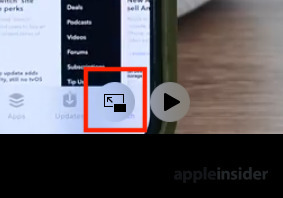 To exit the mode, click the X symbol in the top left corner of the video panel, or by clicking the symbol next to the play button in the panel to replace it in the page. 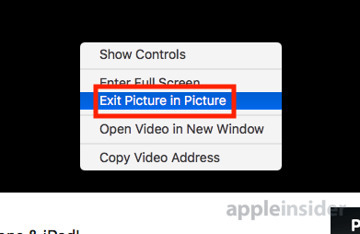 You can also right-click the webpage as before and select Exit Picture in Picture. 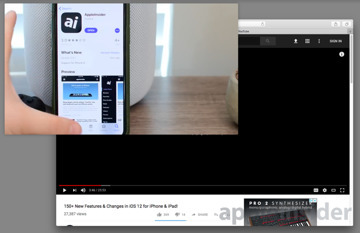 Websites have to enable Picture-in-Picture mode for it to work, but not every site does so. For example, while Vimeo is more direct in offering the feature by openly displaying a PiP button, there is currently no way to use the function with video from Netflix nor Amazon Prime Instant Video.